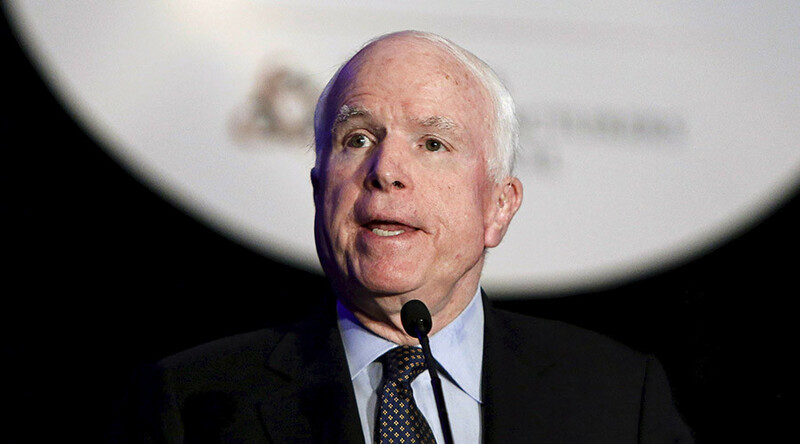 John McCain is only seen as a war hero because he was taken prisoner in the Vietnam War, billionaire and Republican presidential contender Donald Trump said, angering fellow GOP party members. “He’s not a war hero,” Trump said after the moderator of the Family Leadership Summit in Ames, Iowa, used the term to describe McCain. “He was a war hero because he was captured. I like people who weren’t captured,” the real estate mogul explained. McCain, an Arizona Senator and one of the key figures in the Republican Party, was a navy fighter pilot during the Vietnam War. After his plane was shot down over Hanoi in 1967, he spent five years in prison, where he was frequently tortured. Trump called McCain “a loser” for being defeated by Democratic candidate Barack Obama in the 2008 presidential race. "I supported McCain for president. He lost and let us down. ... I've never liked him as much after that,” he said. 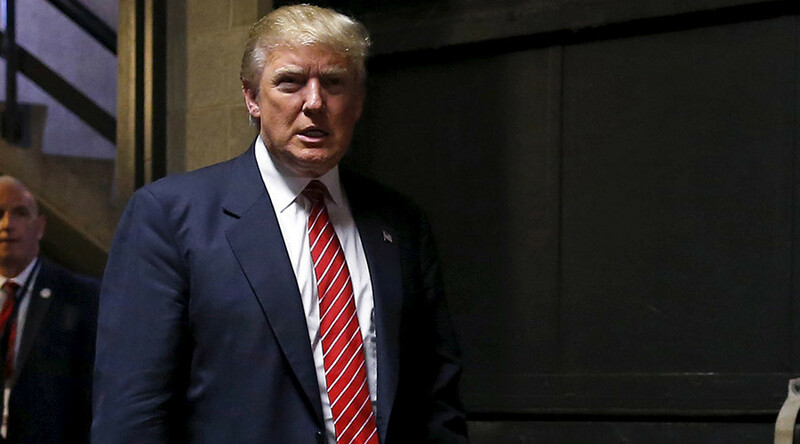 “I don’t like losers,” the tycoon, whose support among Republicans spiked at 57 percent, according to recent polls. Trump stressed that he is also dissatisfied with McCain’s performance as a senator due to the 78-year-old not doing enough for veterans. “John McCain talks a lot, but he doesn't do anything,” he said. "I was not a big fan of the Vietnam War," he said, telling the media that he used student deferments and later a medical deferment to avoid joining the army during the US-Vietnamese conflict of 1955-1975. The tycoon’s camp then released several statements to clarify his stance, with one of them explaining that Trump isn’t sympathetic towards McCain, but has “great respect for all those who serve in our military, including those that weren't captured and are also heroes." Other high-ranking Republicans, including 2016 presidential candidates, used Trump’s comments to criticize the billionaire, saying the he was unfair to both McCain and the veterans. Former Texas Governor Rick Perry tweeted that Trump’s “disgraceful” comments made him “unfit” to be the US president and the commander in chief. As a fellow veteran I respect @SenJohnMcCain because he volunteered to serve his country. I cannot say the same about Mr. @realDonaldTrump. Top strategist for the Republican National Committee Sean Spicer stressed that "there is no place in our party or our country for comments that disparage those who have served honorably." Former Florida Governor, and one of the main Republican presidential hopefuls, Jeb Bush urged Trump to stop his attacks on McCain.